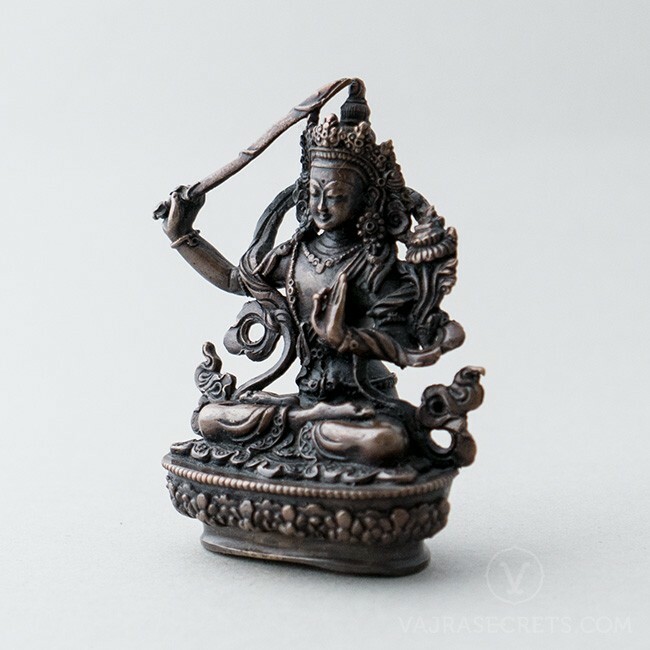 An exquisitely hand-carved 3-inch copper statue of Wisdom Buddha Manjushri, who bestows increased understanding, improved memory, better communication skills and mind development. Very beneficial for students, for those in the education and communication industries, for young children, and for anyone who seeks greater wisdom. This statue has been purified and consecrated in a Soongdrup & Rabney ritual conducted by very senior members of the monastic community held in early June 2017 at Kechara Forest Retreat. All statues comes with insertion of mantras, holy rilbus, a set of herbal rilbus, protector rice and a small piece of H.E. Tsem Rinpoche's robe. 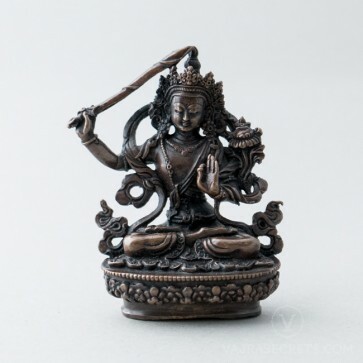 A 3-inch oxidised-finish copper statue of Wisdom Buddha Manjushri, exquisitely hand-carved with full iconographic detail according to traditional scriptural sources. A perfect addition to a small shrine at home or in the workplace, or as part of a portable travel altar. 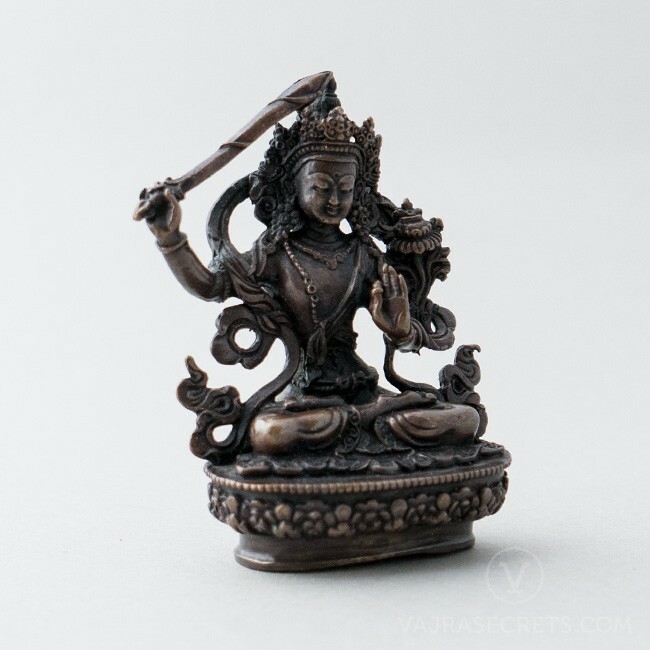 This Manjushri statue can be personalised with a hand-painted face using real gold dust or insertion of mantras and holy items. One can also offer brocade, pearls and semi-precious stones, as H.E. Tsem Rinpoche always encourages the practice of making offerings to the Three Jewels, which creates the causes for us to attain the six paramitas (perfections). * Prices listed exclude personalisation services, e.g. statue painting, traditional clothing, etc. Product images are for display purposes only.